Police are appealing for witnesses after a man was forced from his home in Hastings, taken to a field in Salehurst and assaulted. 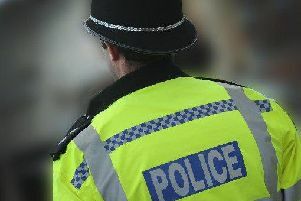 Two men went to the 36-year-old victim’s home in Earl Street, Hastings, at about 10am on Friday (May 29) and forced him to get into a silver BMW with them. They then drove him to a field near Salehurst where they attacked him before leaving him and driving away. The victim walked to a nearby house to raise the alarm and was taken to hospital for treatment on serious injuries to his hands. Police are keen to speak to anyone who saw the BMW in Earl Street or the man being driven between there and Salehurst. Detective Constable Nick O’Shaughnessy said: “We believe this was a targeted attack on the victim although it is not clear what the motive was. We need to speak to anyone who has any information about what happened. “It must have been a terrifying ordeal for the victim and we are determined to find the men responsible. “We need the public’s help to identify and track down the men involved in what was an extremely rare incident. Anyone with information should email 101@sussex.pnn.police.uk quoting serial 426 of 29/05, call 101 or contact the independent charity Crimestoppers anonymously on 0800 555111.